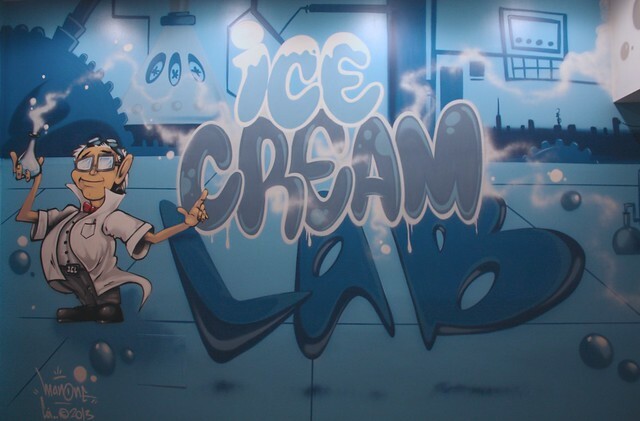 I was asked to create a mural for the new Ice-Cream Lab in Beverly Hills. They create ice cream by instantly freezing the cream or yogurt base with liquid nitrogen which creates an awesome smokey effect. The result is a scientific approach to ice cream-making and its done before your eyes! Naturally the theme of a scientist in a lab came to mind. Needless to say they loved it! The branding needed to be just right and they gave me a lot of liberty in playing with their logo and mural in general. This was a fun gig and I look forward to painting up their other shops as the brand takes off, which I know it will. 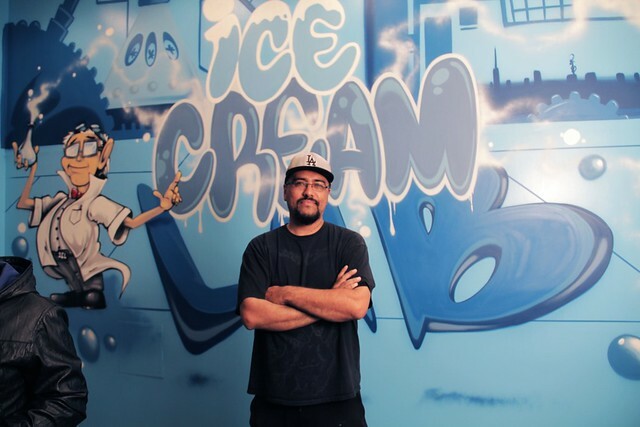 Make sure you head down there, you're gonna love the ice cream and hopefully the art too! 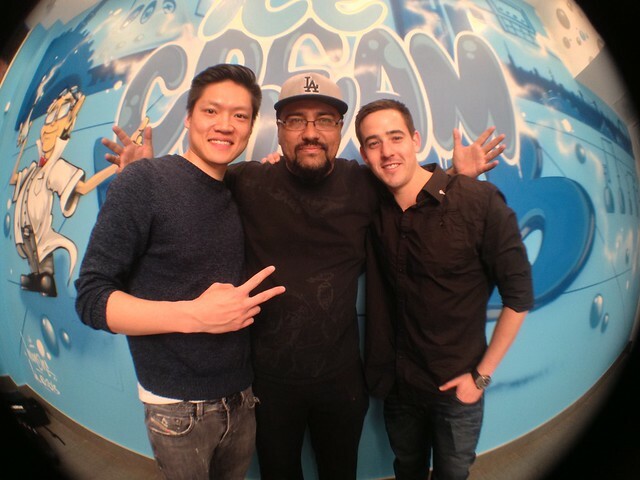 Here's a cool video of the making of the mural and the initial tasting party. Check it!